Even Pakistanis and Sri Lankans have a sweeter tooth than Indians. What then makes India the diabetes capital of the world? Can sugar be the sole culprit for making India the diabetes capital of the world? Well, if some experts and sugar industry representatives are to be believed, the sweetener is being unnecessarily dragged into the controversy over rising cases of diabetes in the country, especially as a host of factors, including sedentary lifestyle and growing urbanisation, are causing diabetes. 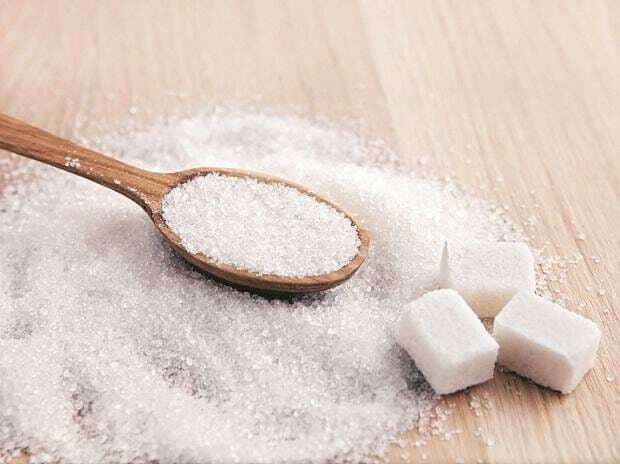 In a seminar on 'Sugar and Health', organised by the Indian Sugar Mills Association (ISMA), the premier association of private sugar factories in the country, industry players said there was an annual increase of 6.25 per cent in diabetes cases in the country between 2000 and 2016. During the same period, per capita sugar consumption grew by only 1.23 per cent. ISMA’s efforts to highlight the health benefits of sugar come at a time when India is staring at a massive glut in the sugar market, with production in the 2018-19 sugar season (October to November) projected at around 30-31 million tonnes, compared with an estimated consumption of 26 million tonnes. A high opening stock, along with a low offtake in the domestic and international markets, could leave the country saddled with sugar stocks in excess of 11 million tonnes by the time the 2018-19 season ends. Many experts blame slow growth in domestic retail sugar consumption as one of reasons for surplus stock. “India’s annual sugar consumption is 18.4 kg, one of lowest in the world. It is lower than even Pakistan and Sri Lanka, and yet we have such high number of diabetes cases. This shows the problem perhaps lies elsewhere, not in sugar consumption,” said Abinash Verma, director general of ISMA. He said there were two big myths associated with sugar consumption: First that it causes diabetes, and second that it leads to dental caries (medical term for tooth decay or cavities). Studies and research have shown that dental caries are caused by acid in food. The pH value (a measurement of acidity and alkalinity of water soluble substances) of sugar is seven, which is considered neutral. A pH value reading below 7 is considered acidic and more than 7 alkaline. “Citrous fruits like lemons and tomatoes, besides pickles and coffee, have low pH levels, so they are more acidic than sugar. Mere consumption of sugar, therefore, might not lead to dental caries. But yes, when food sticks to your teeth it turns acidic;so regular brushing and flossing are perhaps easier ways to check tooth decay,” Verma said. Noted nutritionist, Ishi Khosla, who also participated in the discussion said that eating sugar in isolation does not cause diabetes, but eating excess of sugar definitely could be a reason. “Do indulge your sweet tooth but in a smart way,” Khosla said. She said she had come across several people in her long years of practice who were not obese, led perfectly active lives, were healthy but had diabetes. This showed what you ate was as important as how you ate, at what time you ate and whether you were eating right. “You can manage Type-2 and Type-3 through food management,” Khosla said. Dr Luca Piretta, MD and Specialist in Gastroenterology and Science of Human Nutrition at the University Campus of Bio Medico in Rome, Italy, said all available researches on a direct correlation between sugar intake and diabetes or cardiovascular disease should be taken with a pinch of salt. “We need to learn what to eat and more importantly how to eat. Instead of just demonising a product, we should learn to eat proportionally and the time at which to eat, in order to maintain a healthy lifestyle,” Piretta said.